Dream Pod 9: First Venus Kickstarter Backer Reward Packages Shipped this Week! Just a quick update today to let everyone know that we have started shipping out the first Venus Kickstarter Backer reward packages this week. We took photos (below) of a few US Backer packages that were mailed out today by US Post. We'll be mailing out a few more the end of this week to some of our Canadian Backers. 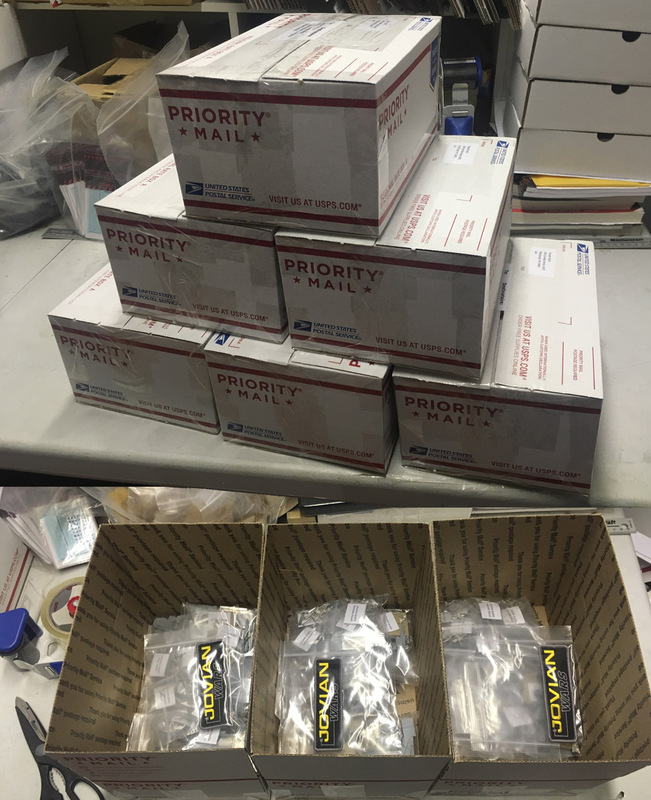 We expected to get all the Backer reward packages shipped over the next 5 weeks, as fast as Fusion Models gets the resin spaceship parts cast-up for us. Home › Blogs › Robert Dubois's blog › First Venus Kickstarter Backer Reward Packages Shipped this Week!